Well, I hope you all had a great weekend. We spent most of it at the pool. I can’t seem to get my sunblock on correctly and have odd shaped burns in random places on my body. I told my husband I was going to have to go to the tanning bed to even out the pasty white places to the golden areas (and the cherry red burns of course). He joked I’d probably be the only one in a tanning bed wearing sunscreen. 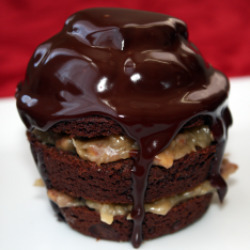 I ate a German Chocolate Cupcake from one of those fancy cupcake bakeries. Edible glitter, German chocolate filling and a mound of chocolate icing. About 5,000 calories later, I thought I might be sick. Oh but that one moment! And it was a moment indeed. Okay, so here’s a couple of books I’ve read lately. I liked this book. 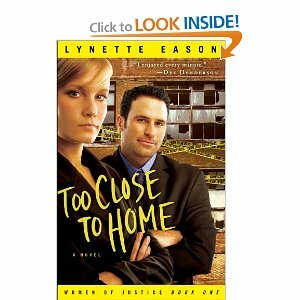 It’s the first book I’ve read by Lynette Eason. I figured out early on why the killer was doing it, but wasn’t sure who it was until about 75% in. Then I didn’t guess the “boss” until it was almost over. 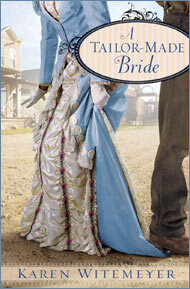 I liked the characters and the romance that blossomed. Both characters struggled with their faith. I think the author made their spiritual joureneys realistic and touching. I took a keen interest in the sister and want to read the next book that’s about her. I think it will be even better! “When a dressmaker who values beauty tangles with a liveryman who condemns vanity, the sparks begin to fly! I didn’t know what to expect when I started this book. I don’t often read historicals, but lately I’ve read several and I’m coming to realize, I enjoy most of them. I happen to like a lot of romantic tension and some spice, not all inspirational historicals meet my expectations. I fell in love with J.T. and Hannah immediately. I loved their banter, internal conflicts, and wit. I felt like I was living in this time period and it was rather fun to spend a few hours, since I read it in two sittings, with these characters. I predicted the villain, but I’m not sure that she was trying to conceal it. That didn’t matter to me, though, because I just loved everything else. Especially the romance. No wonder she won a RITA for first book. I also think it’s a great parallel of the Proverbs 31 woman and a healthy look at beauty and nice things. So have you read a book lately that you were unsure of, then turned out to be a pleasant surprise? Okay then…what’d you do this weekend?